Cambridge Ecology has experienced ecologists able to undertake Great Crested Newt surveys, possessing Natural England Great Crested Newt survey licences, necessary for all standard Great Crested Newt Surveys. 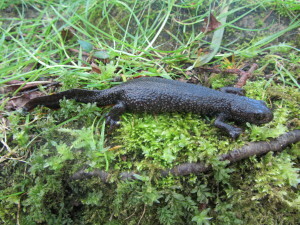 For licensing purposes three separate methods are required to determine the likely presence / absence of Great Crested Newt. This legislation is considered to include terrestrial habitat within 500 metres of a Great Crested Newt breeding pond that will function as foraging and hibernating habitat for the newts. Other species of amphibians are also Section 41 priority species under the terms of the NERC Act 2006.